How to use the data gathered during customer contacts? 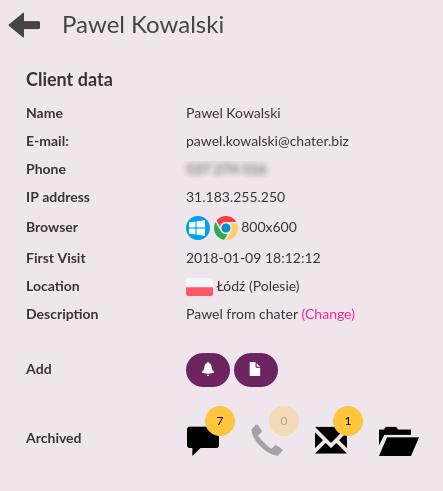 Customer history of chats and offline messages allows us to collect a full record of customer contact in one location, regardless of when and from what device he wrote to us. 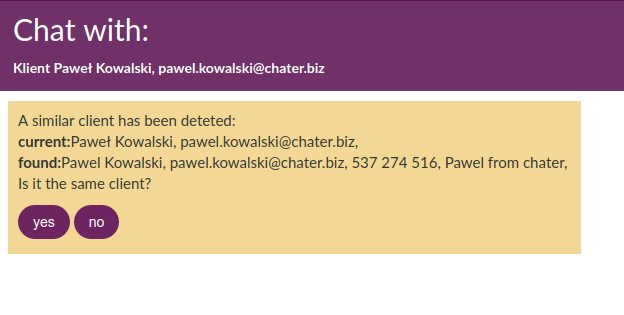 Client base displays information about the customer and the history of the previous contact.